... and Dashers deliver it directly to their doors. Dashers are paid on a per delivery basis, not per hour. There are 103 Courier job vacancies in Vaughan available immediately, compared to 171 in Markham. The standard deviation of salaries for the results of this search is 47,111. The largest category under which open Courier jobs are listed is PR, Advertising & Marketing Jobs, followed by Logistics & Warehouse Jobs. 4 new job listings for this search have been found in the last calendar day, compared with 13 in the last 72 hours and 29 in the last week. 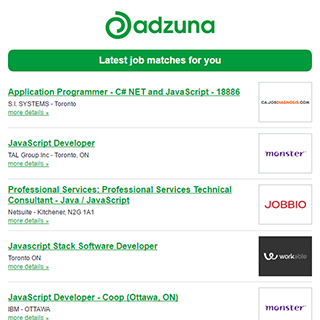 The Adzuna recency index score for this search is 1.05, suggesting that demand for Courier job vacancies in Vaughan is increasing. Get the latest Courier Jobs in Vaughan delivered straight to your inbox!